“You must not laugh at me, darling, but it had always been a girlish dream of mine to love someone whose name was Ernest…” Everybody loves Ernest. The only trouble is, he doesn’t exist. Or does he? 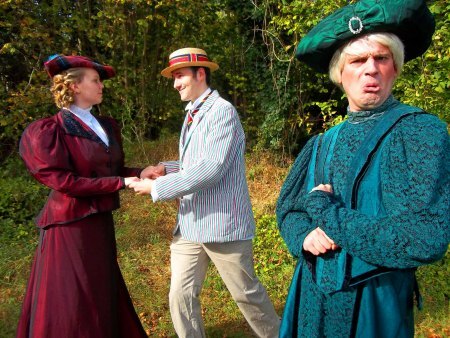 Oscar Wilde’s comic masterpiece got The Pantaloons treatment in our anarchic take on the classic comedy of manners. This energetic show featured all the usual Wildean wit, plus a few Pantaloony surprises including singing butlers, travel by means of musical montage and interactive gameshow ‘The Bracknell Factor’. Below you can see what the press had to say and watch a short fan video of our ‘Previously on Earnest’ Hollywood-style recap!